Whey protein powder companies are a dime a dozen, but few deliberately target strength athletes. That’s where Earth Fed Muscle comes in, a new supplement company from the brains behind Garage Strength, a Pennsylvania-based strength facility. The company is owned and run by a competitive shotputter, amateur bodybuilder, and an Olympic weightlifter, and they sponsor over thirty strength athletes. 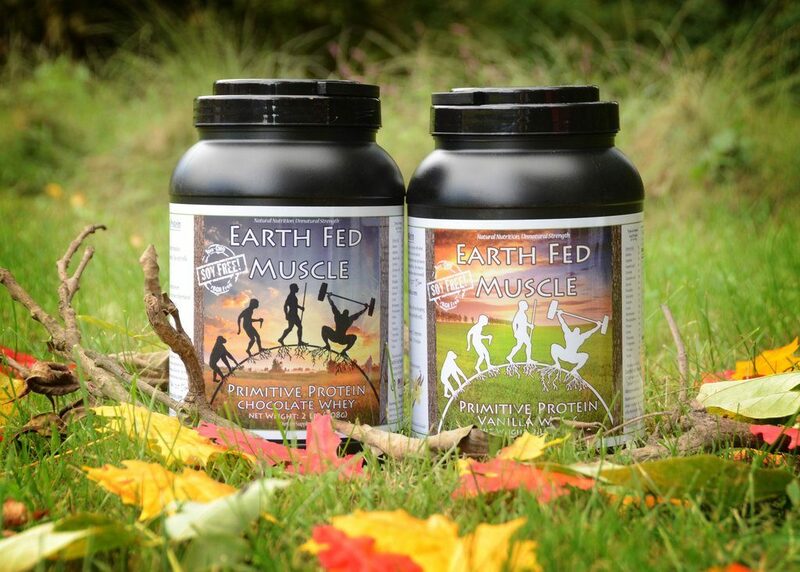 Earth Fed Muscle offers creatine, pre-workout, gelatin, ZMA, and five flavors of whey protein powder. I tried out their protein to see how it stacks up. Right off the bat, I was confused. Everything about the branding, from the name to the caveman-centric logo, screamed “Paleo.” But the protein is obviously sourced from dairy and the cows aren’t even grass-fed. Now, nutritionally speaking that’s not a bad thing. Whey is a really high quality protein and the health benefits of grass-fed dairy and beef mostly extend only to the fatty acids. Whey has next to no fat, so the focus on grass-fed whey powder has always been a little confusing. I should point out that lots of ingredients isn’t necessarily bad. But if you would rather steer clear of foods with a zillion ingredients, this could be your protein. I tried vanilla, chocolate, and banana, and each time I was surprised at how pleasant they tasted despite the absence of the sweeteners to which I’m so accustomed. I’m a guy who really likes artificially-sweetened protein powder. I literally own separate tubs of donut-flavored and white chocolate-flavored Gold Standard Whey. I mix them into everything. Sucralose is my favorite food group. These tasted great. The mildest, of course, was vanilla. Next to ON’s vanilla ice cream flavor and their milder vanilla crème flavor, Earth Fed Muscle’s offering did little more than make my almond milk taste more like regular milk. Regular milk is sweet, creamy, and delicious. I am not complaining. I’m not a big chocolate guy, but my concerns that the strictly cocoa- and stevia-based flavoring would be dull or bitter were unfounded. No one would call Earth Fed Muscle’s chocolate flavor mild, but I preferred it to the overwhelmingly chocolatey powders I’ve had in the past. (Think double chocolate brownie, triple chocolate fudge, quadruple chocolate malt, etc.) This tasted like chocolate milk. It’s precisely the kind of chocolate flavor I like. Earth Fed Muscle’s banana flavor is five bucks (twelve percent) more expensive than the others, but it’s worth it: I was absolutely blown away by how good it was. This shake tasted like fresh banana bread in a glass. It was far and away my favorite. The macros are on point: each serve is 128 calories with twenty-one grams of protein, six grams of carbs, and two grams of fat. Though a tiny bit high, it’s comparable to the best low-carb powders on the market: Gold Standard is usually twenty-four grams of protein and three grams of carbs per 120 calories, BioTrust is twenty-four grams of protein and eight grams of carbs for every 150 calories, MuscleTech’s Premium Gold is twenty-four grams of protein and four grams of carbs per 130-calorie serve. In other words, the macros and results are competitive. There are no added bells and whistles like glutamine, creatine, or BCAA. But of course, whey already contains naturally occurring glutamine and all the essential amino acids anyway. For your basic Vanilla flavor, Earth Fed Muscle is 40 dollars for 30 servings of 22 grams of protein, or six cents per gram. Compare that with BioTrust Low Carb’s fifteen cents per gram, PaleoPro’s beef and egg protein powder for eleven cents per gram, Optimum Nutrition Gold Standard’s three cents per gram, MuscleTech Premium Gold’s three cents per gram. For where it sits on the scale of premium to average protein powder and given the simplicity of its ingredients, it’s relatively well-priced, though customers used to the standard GNC fare will probably baulk. It’s important to emphasize that the protein is only sweetened with stevia, but it’s almost addictively tasty. Most protein powders are so sweet, so artificially delicious, that it can wind up hard to drink a significant amount at once. Earth Fed Muscle tastes not bitter, and not sweet, but smooth. It’s easy to chug quickly and easy to sip. The macros make it easy to time. And the ingredients are refreshingly free from unpronounceable chemicals. It’s much more expensive than the average whey, but cheaper than the high-end products their market typically resorts to when they want a simpler protein powder. 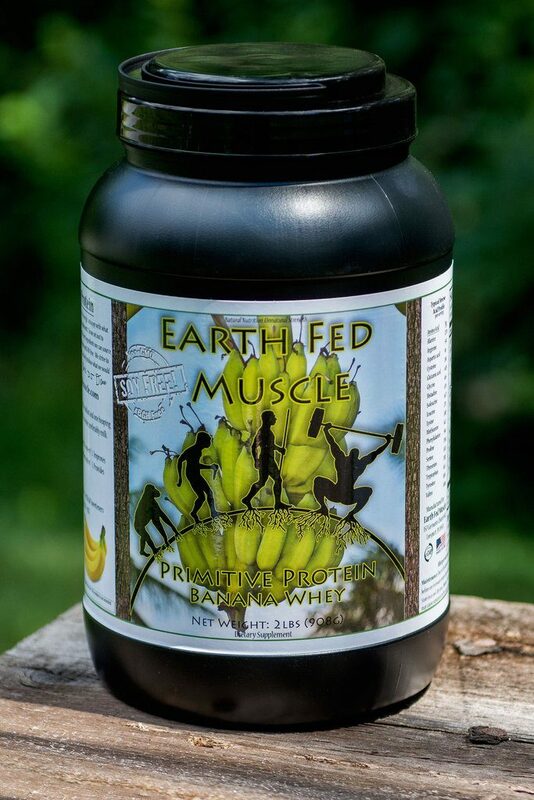 It’s more high-end than middle of the road, but if that’s what you’re after, I definitely recommend Earth Fed Muscle. Nick is a content producer and journalist with over seven years’ experience reporting on four continents. His first articles about health were on a cholera outbreak in rural Kenya while he was reporting for a French humanitarian organization. His next writing job was covering the nightlife scene in Shanghai. He’s written on a lot of things. After Shanghai, he went on to produce a radio documentary about bodybuilding in Australia before finishing his Master’s degrees in Journalism and International Relations and heading to New York City. Here, he’s been writing on health full time for more than five years for outlets like BarBend, Men's Health, VICE, and Popular Science. No fan of writing in the third person, Nick’s passion for health stems from an interest in self improvement: How do we reach our potential? Questions like these took him through a lot of different areas of health and fitness like gymnastics, vegetarianism, kettlebell training, fasting, CrossFit, Paleo, and so on, until he realized (or decided) that strength training fit best with the ideas of continuous, measurable self improvement. At BarBend his writing focuses a little more on nutrition and long-form content with a heaping dose of strength training. His underlying belief is in the middle path: you don’t have to count every calorie and complete every workout in order to benefit from a healthy lifestyle and a stronger body. Plus, big traps are cool.